This time of year ramps are all the rage. 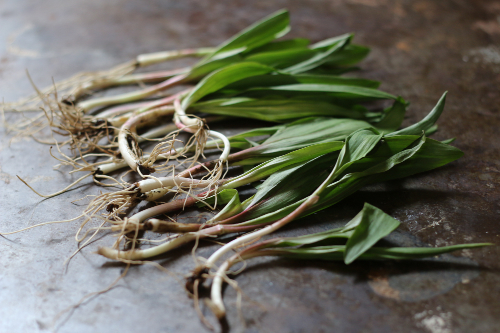 Available in early spring for a very short period of time, wild ramps are from the onion family and come packed with a spicy garlicky punch. Found in the Eastern part of the country (yay me!) they are really the first green to pop up out of the ground in spring and available from March through May. Certainly popular as pestos and ramp butter — I wanted to try and create something a little different. 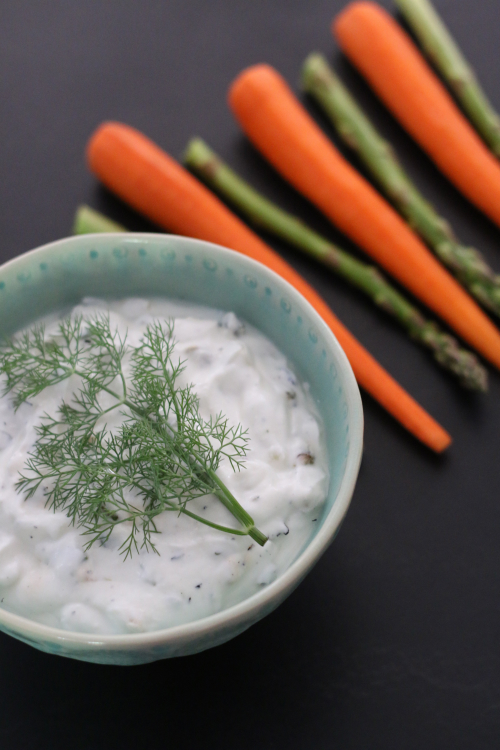 In trying to make something different I came up with a take on tzatziki! When choosing ramps, go for bright green leaves, firm stems, and with the roots attached. They can last quite a while by placing them in a jar of water in the fridge, refreshing the water every 2 days until ready to use. Splash olive oil on the ramps and sprinkle with salt. 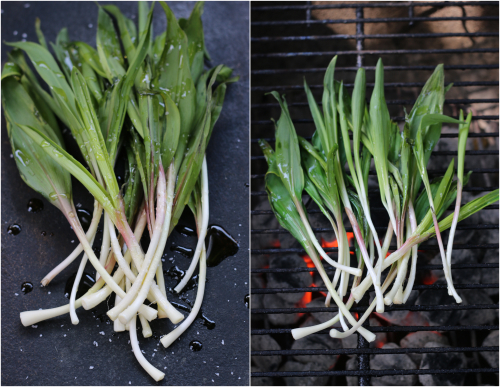 Place ramps on a medium grill and quickly char the stems and leaves, covering to allow the smoke to fill the grill before each turn. This is a 5 minute or less process if your grill is up to temperature. Remove the ramps and chop both the stems and leaves. 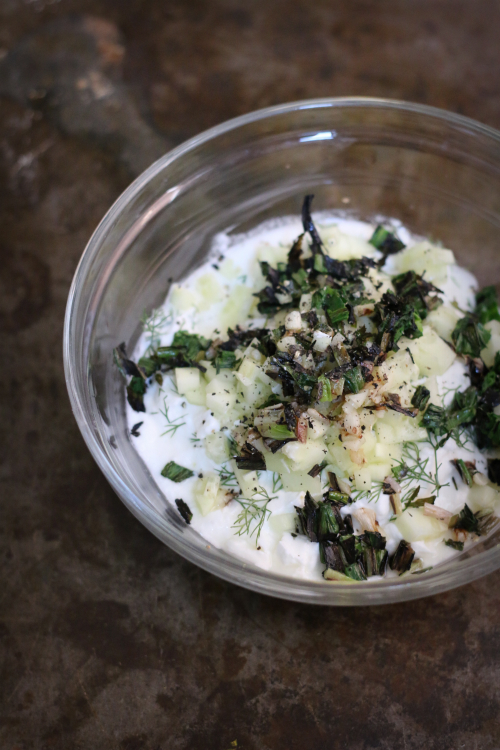 Simply place the yogurt, cucumber, dill, chopped ramps (with charred leaves) and lemon juice in a bowl and mix well. Cover and refrigerate for 3 hours. 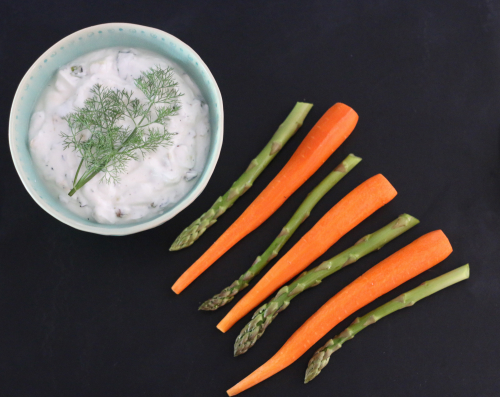 Serve with crudités or this would be a perfect side with some fresh grilled lamb! 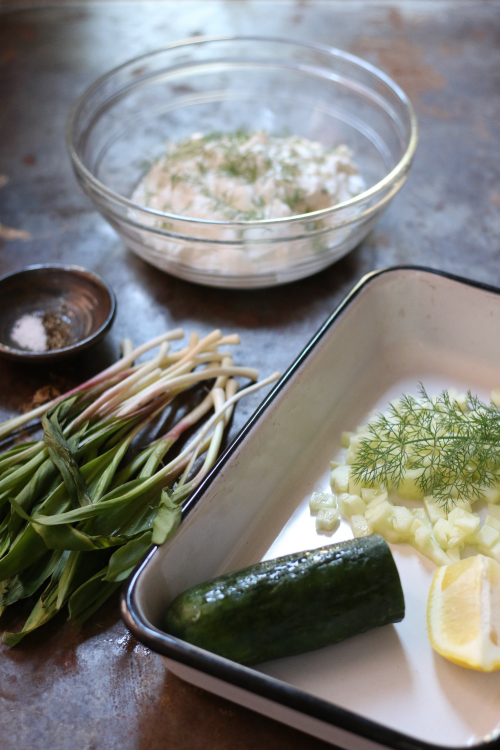 Now you have my take on this hyper seasonal spring veggie that if you were not familiar with — your ancestors probably were (and I'd encourage you to give it a try)! 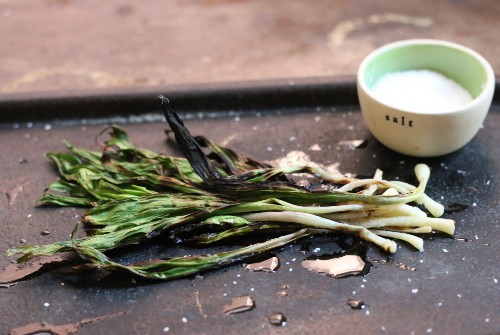 What do ramps taste like? For me garlic on steroids. 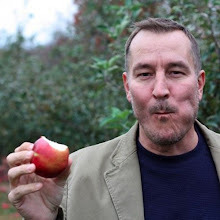 It has a hot bite to it.